Do you want to set a default featured image for your WordPress site? When some of your posts don’t have a featured image, it can be handy to have a default image to use as a fallback. In this article, we will share how to set a default featured image in WordPress. Why You Should Add Default Featured Image? In WordPress, you will find an option to add a featured image for each of your posts. You are allowed to add one featured image per post. Sometimes, you might not have a featured image for your post. Maybe you forgot to set it, or you didn’t have an image that you wanted to use. However, if you share that post on social media (such as Facebook) without a featured image, then it may pick a random image used in the post. More often than not, these random images don’t make good post thumbnails. However, if you set a default featured image for your posts, then that image will be shared as the thumbnail for any posts that are lacking a featured image. By default, WordPress does not have an option to add a default featured image for your posts. 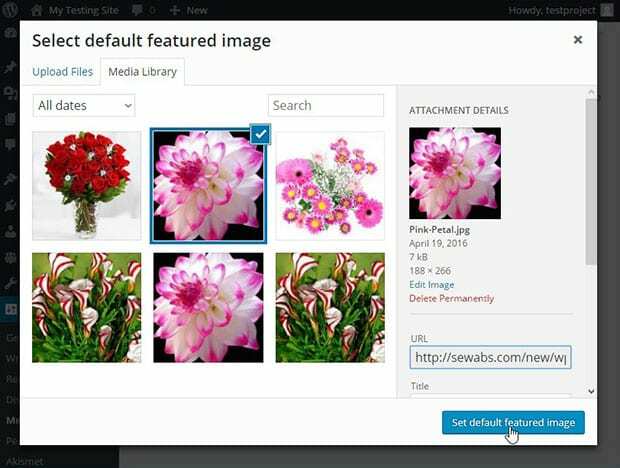 You’ll need the Default Featured Image plugin to set a default featured image in WordPress. To install and activate the Default Featured Image plugin, you can go to Plugins » Add New from your WordPress admin. In the search bar, type: “default featured image” and press the Enter key. Find the “Default featured image” plugin and click on the Install Now button. Next, you’ll need to click on the Activate Plugin link. The Default Featured Image plugin should now show as successfully installed and activated. Upon activation, go to Plugins and click on the Settings link under the Default Featured Image plugin. 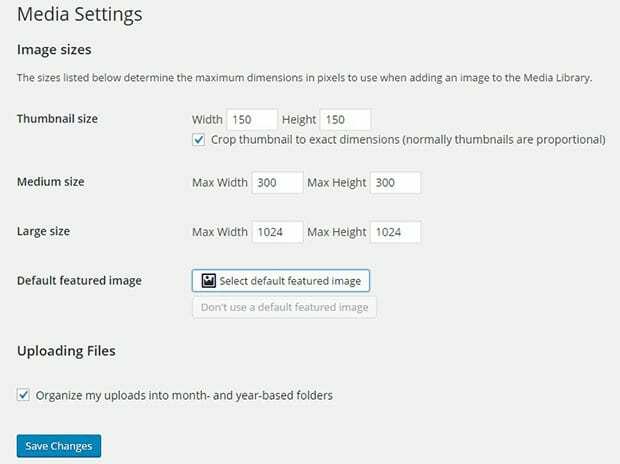 In the plugin settings, you can set the thumbnail size, medium size, large size, and default featured image. Simply click on the Select default featured image button and choose your featured image from the media library. Now hit the Set default featured image button. Once you are satisfied with your settings, make sure to press the Save Changes button. Your default featured image will now be displayed whenever there is no featured image set for any given post! We hope this article has helped you to learn how to set a default featured image in WordPress. You may also want to check out our guide on where does WordPress store uploaded images? This is a very efficient plugin. We needed to set the default image for a client site consisting of over 100 posts. The Default Featured Image plugin saved us valuable time. Thank you! Hey Tim, glad you find this tutorial helpful. 🙂 Do follow us on Facebook and Twitter for more free WordPress tips and resources. Very helpful article. My problem has solved by your tip. Thank you very much. Hey Melani, I’m glad your problem is solved. Do follow us on Facebook and Twitter for more free WordPress tutorials. Hi. Is there a way to add a default image for the entire site? i.e. when you share the link to your site, a default image shows up next to the url.